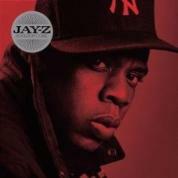 RapReviews.com Feature for November 21, 2006 - Jay-Z's "Kingdom Come"
A short list of gross understatements for your entertainment. A lot of people are fighting for a Nintendo Wii. A lot of people are killing to get a PS3. A lot of people are dying to hear new Jay-Z. I got a drop I just took off the top, it's your turn"
To return, when I lost you, I lost it"
"Know why they call The Projects a project, because it's a project! Sidestep cops on the way to the top - yes! Hustlers, prophets, made our eyes stretch"
From there Jay pays tribute to all those who got in the hustle with him, noting that far too few got out of it alive - words of wisdom to the youth wrapped up in a song that would've been dope with or without the advice. Jay-Z comes correct throughout his entire return. He gets smooth on the DJ Khalil produced "I Made It" noting he's "ghetto like the grease when you gettin your hair braided" but "sweeter than your sister Kool-Aid is." He gets rough on the Dr. Dre produced "Trouble," over an initially jarring electronic beat that's ultimately smoothed out with ivory keys and raps like "It's just a matter of time before the steady hate/ starts to overflow, then the levee breaks/and my conscious go, you escape the RICO/why throw everything away over ego." Would it be safe to say Jay is consistantly dope no matter who drops the beat though, whether it's The Neptunes on "Anything" or Swizz Beatz on "Dig a Hole?" Yes. To put it simply, "Kingdom Come" is everything you expected without the short supplies in stores or the $500+ price tag, and is probably a better investment for your entertainment anyway. Don't wait until the after Thanksgiving sales, pick this one up with due haste. It's good to have Jay back from retirement, and here's hoping he's not going back to it soon.